It’s National Grilling Month, and we’ve got healthy grilling recipes to help you make the most of your grill before summer is over. 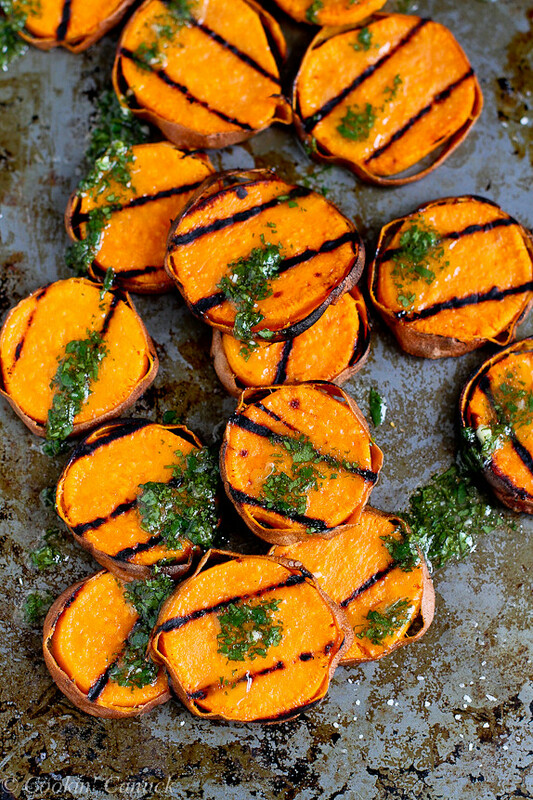 First up is the perfect easy summer side, Grilled Sweet Potatoes with Cilantro Vinaigrette. These Grilled Pork Chops with Spicy Balsamic Grilled Peaches make for a refreshing summer meal. Add some heartiness to your salads and dinners with these Umami Grilled Tomatoes. Skip heavy appetizers and make these Grilled Blossom Onions at home instead. 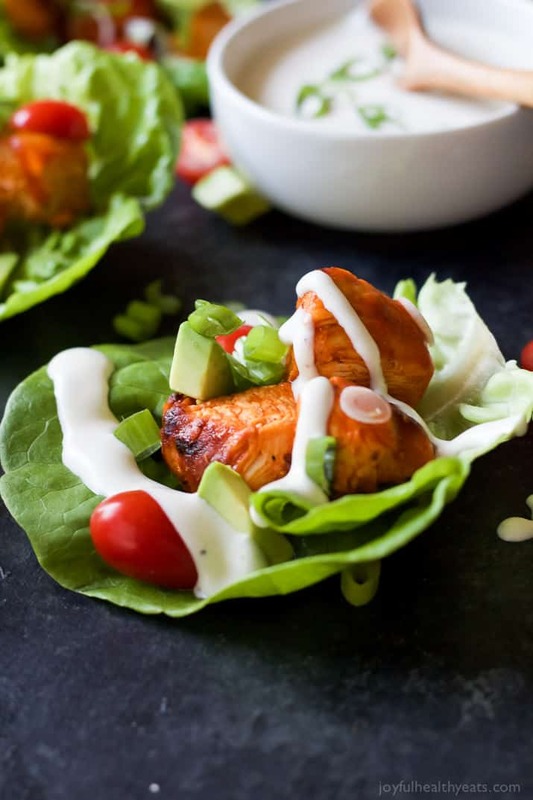 These Tandoori Chicken Lettuce Wraps are perfect for meal-prepping lunches. Start off your dinner right with these Grilled Artichokes with Spicy Lemon Aioli. For National Grilling Month, this week in food, we focused on healthy grilling. Keep portions of a steak dinner in check with these Grilled Steak, Potato, and Mushroom Kabobs. Grill smoky Thai Chicken Zoodles for a light summer dinner. Looking for an alternative steak dinner? Grill Portobello Steaks with Avocado Chimichurri. Make it a party with build-your-own Mini Grilled Pizzas. Image and Recipe via tbsp. These Grilled Buffalo Chicken Lettuce Wraps are a healthy gameday treat. July is National Grilling Month, and it’s also the peak month for grill fires. Do you know grilling safety? In 2014 alone, 16,600 patients went to the ER from grill injuries. Not cleaning the grill is the leading factor in 1/5 of structures catching fire from a grill. Leaks or breaks were a factor in 11% of grill structure fires and 23% of outdoor grill fires. Gas grills contribute to more home fires than other grills, so grill just as carefully with them! Are you taking a portable grill with you? Know how to use it safely!